The United Democratic Party has re-affirmed its commitment that it would not break the coalition Meghalaya Democratic Alliance and continue to work with the National People’s Party (NPP) which is leading the coalition government. 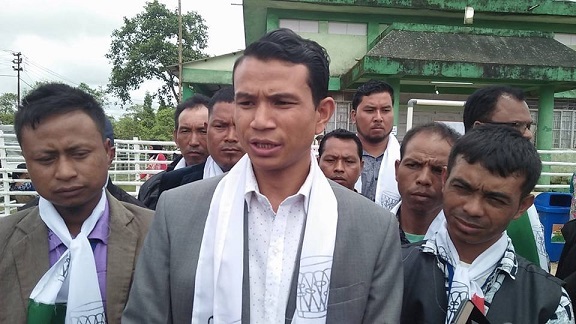 Senior UDP legislator and Tourism Minister, Metbah Lyngdoh on Monday said that the victory of the NPP through the Chief Minister, Conrad K. Sangma in South Tura constituency and UDP candidate, Pius Marweiñ in Ranikor constituency would further strengthen the MDA government. The results of the August-23 by-elections to South Tura and Ranikor on Monday triggered speculations that the state may witness another political drama as the UDP may go the Karnataka way by forming a new government with the support of the Opposition Congress. Lyngdoh however termed the results of the twin by-elections a “well deserved” victory for both the parties, NPP and UDP. Monday’s victory has increased the tally of both the NPP and UDP in the 60-member Assembly and secured the position of Conrad as chief minister. The NPP now has 20 MLAs, while the UDP’s tally has risen to seven MLAs. One Independent MLA, SK Sun is also an associate member of the UDP. Rumours spread that the Congress has offered the UDP the chief minister’s post besides minister post to all its MLAs. The Congress has 20 MLAs in the Assembly. NPP Meghalaya president W R Kharlukhi told reporters that the party was happy as the MDA has won both the seats in the twin by-elections. “We won with a thumping margin in South Tura, though we lost the Ranikor seat. But it is an MDA win, and the opposition Congress has lost its security especially in Ranikor,” Kharlukhi said. He said that the Congress’ votes in South Tura may not change, but the main opposition lost by a margin of 8,421 votes. Kharlukhi also praised Dr Donkupar Roy who is also the UDP president and Assembly Speaker as a man of principle. He said that for the opposition Congress, there was nothing to be happy. “I did not see any reason for the Congress to be happy. If they want to be happy for the sake of being happy, nobody can stop them. I pity the Congress and they are in between the devil and deep blue sea. If they still keep Mukul Sangma as their leader, they will never be able to form the government, and everybody knows about his dictatorial attitude. If they throw Mukul out, Congress is gone in Meghalaya. This is the situation that the Congress is facing in Meghalaya,” Kharlukhi lamented.